Do you know what is the real age of your pet dog or cat? Let's get knowledge about it. We as pet lovers we sometimes do a simple per year basis on how to know the age of our dog. On my side, I am thinking that dog is can be count its age as simple per year like human, example: if the dog that has been on you for almost 4 years, I am thinking that its age is also 4 years which is quitely wrong. On some other person, I've also search that they simple presume a 1 year old dog in human is equal to 7 years old dog, example: if you have a dog and already 1 year on you since puppy so it will be 7 years old, if a dog ages on human years as 4 years multiply by 7 you'll get the answer of 28 years the total age of your dog which is more likely accurate. But in the latest study, by doing or lets weigh simple arithmetic . It is said that it will be the most accurate way of knowing the age of your pet. Let us get out on that 1 year = 7 years old dog. If you have thinking, on how many babies for a cat or dog can have after a year compare for a human which is approximately starting on 7 year old to get pregnant and almost end up of getting pregnant for very rare situation lets say 70 year old lady. 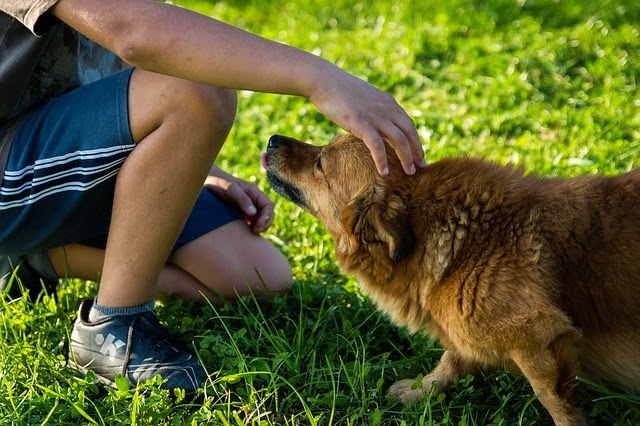 A dog as mans best friends, according to study, that on their 1 year of human year is equal on their age of 12 years old. So example if you have a Dog 1 year on you since it was puppy, it's most accurately age is 12 year old. But this method are a simple looking the maturity of the Dog. For example: on its 1st two years we are adding 12 years per year, and the next years you'll adding 4 years on every after 2 years.